Mechanical keyboards are for gamers, right? These days, you’d be hard-pressed to find one without flashing lights, massive palm rests, and programmable buttons. But what if you just want the best possible typing experience with all the glitz and glam of a gaming keyboard? 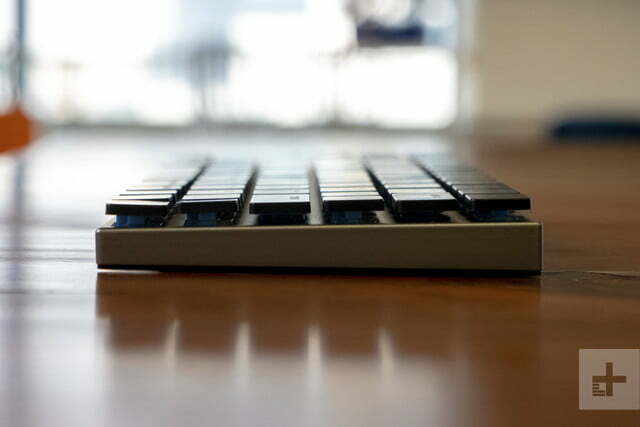 With many laptop keyboards going the way of low-travel, MacBook-like keystrokes, typing purists have found themselves left out in the cold — especially if you happened to be on a Mac. Leave it to a small, startup company to warm us up. 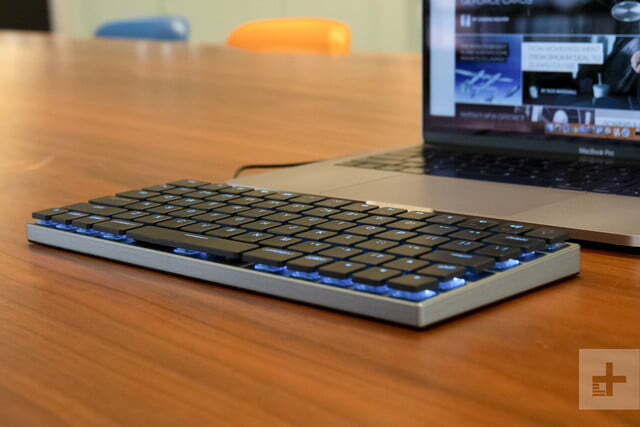 The Taptek Keyboard is a mechanical keyboard from a company called Vinpok, known for its Apple companion products. The company’s heritage is clear, because it feels ready-made for use with an Apple product. But we aren’t calling it a lookalike. This keyboard has its own unique style, befitting of the niche nature of who this is for. 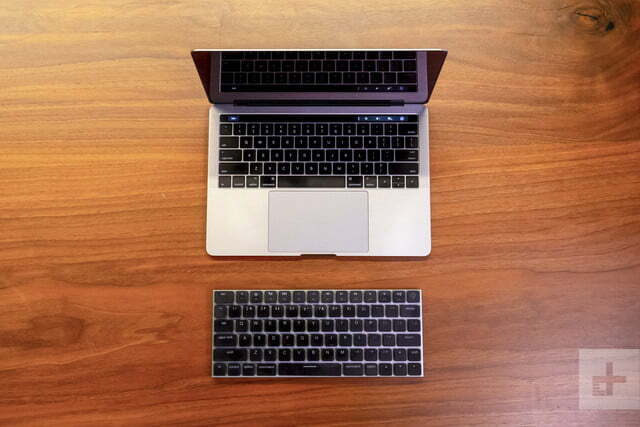 Instead, imagine the Apple keyboard with the keys pulled out from the deck a few millimeters. The base panel is made out of a solid chunk of aluminum alloy, topped with chiclet, mechanical keys. It’s a compact design, wasting not a single millimeter of space, whether in the layout itself or in the deck. 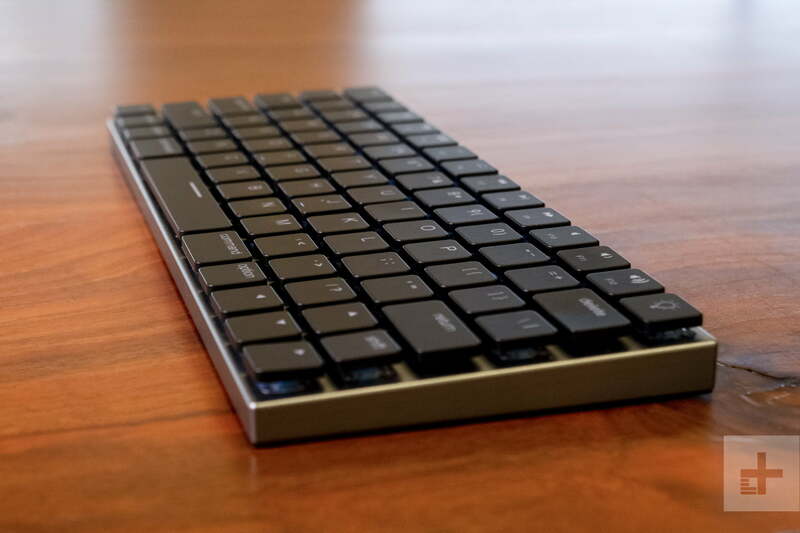 Vinpok calls it the “thinnest wireless mechanical keyboard,” sitting just high enough to allow the three millimeters of travel. That’s not as much as a gaming keyboard like the Razer BlackWidow Chroma, but it’s twice the amount of a standard laptop keyboard. If you’ve never used a mechanical keyboard before, the depth of the travel is guaranteed to throw you off at first. It feels (and sounds) fundamentally unlike a conventional keyboard. 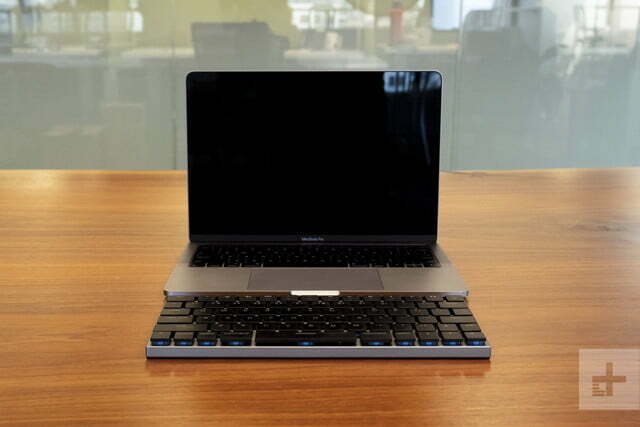 But after a day of using a keyboard like this, you’ll be typing faster and cleaner than ever. Vinpok developed its own switches in-house, though the company says the typing experience is similar to standard Cherry MX switches. For Mac, the layout is nearly perfect. The Function, Control, Option, and Command keys are all in the right places. The black keys are individually backlit, and even have a number of different preset effects. It’s an interesting choice for a product made explicitly as a non-gaming peripheral — but hey, why not? The twenty lighting patterns are fun to try out, but you can always default to a nice, simple blue, or roll with no backlighting at all. The keyboard even comes with an impressive five levels of keyboard brightness. Everything including the sound, color, and tactile feedback make typing downright enjoyable, even if you’re just writing up an email or business report. 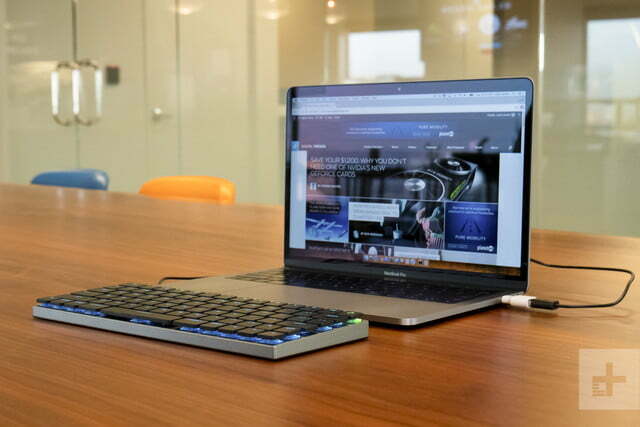 The Taptek keyboard works with iOS, MacOS, Windows, and even Android devices. For Mac, the layout is nearly perfect. The Function, Control, Option, and Command keys are all in the right places, and the key commands work flawlessly. 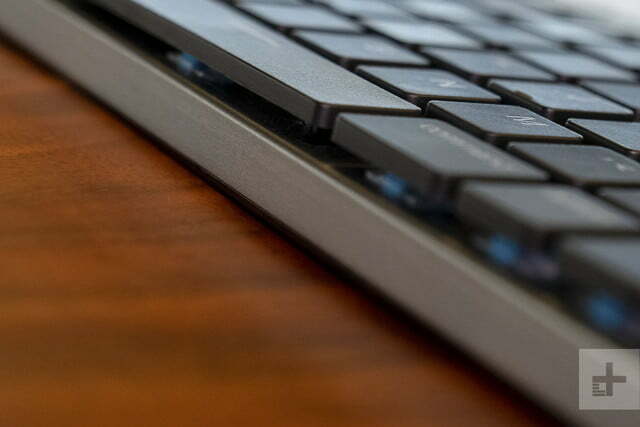 If you happen to have a Touch Bar on your MacBook Pro that you don’t like, you’ll be happy to return to the physical row of function keys, as well. It’s less intuitive on Windows, however. The flipped locations of the function and control keys makes reflexive key commands a hassle to re-learn. Switching these would’ve been an easy fix (and wouldn’t have affected Mac users much), but Vinpok chose to stay true to the Apple layout. It’s obvious what platform the keyboard was made for. There’s also one problem with the layout, regardless of what platform you use. 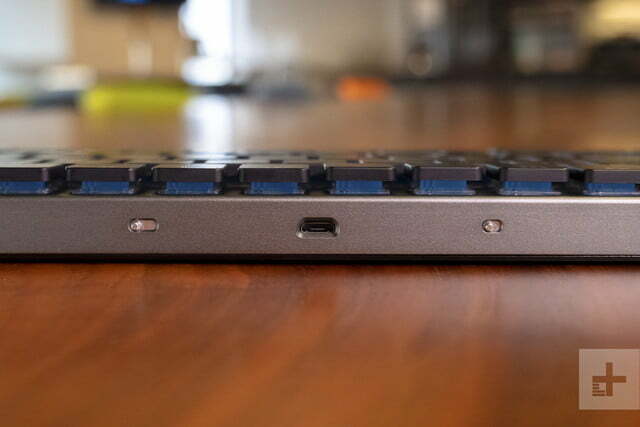 The placement of the up arrow key. Instead of shrinking it down (like on many laptop keyboards), Vinpok inserted it between the Shift key and the question mark. We found ourselves constantly hitting the up arrow instead of shift, causing more than a few typos in Slack messages. The Taptek can be connected via Bluetooth or wired micro-USB, and both work great. It’s not the first time we’ve seen this mistake, in fact, Razer made the same decision on its newest Blade gaming laptop — but that doesn’t make it any more forgivable. It doesn’t outright ruin the typing experience, but it’s certainly a blemish on the otherwise heavenly MacOS typing experience. 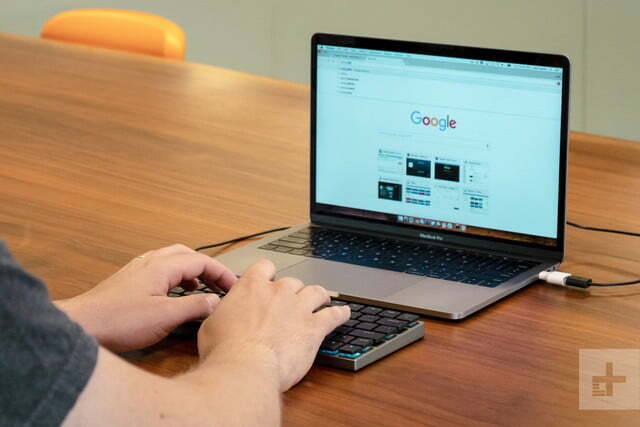 The keyboard can be connected with either Bluetooth or with a wired, micro-USB connection, and both work great regardless of the platform or device. Typing even worked well on an Android smartphone. 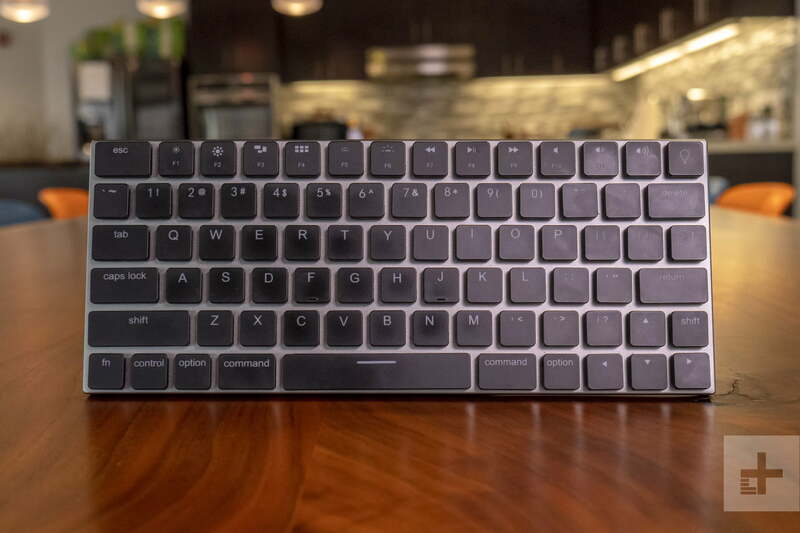 There are plenty of Apple fans who dislike the MacBook Pro’s keyboard, but we doubt many of them have spent time with a mechanical keyboard. 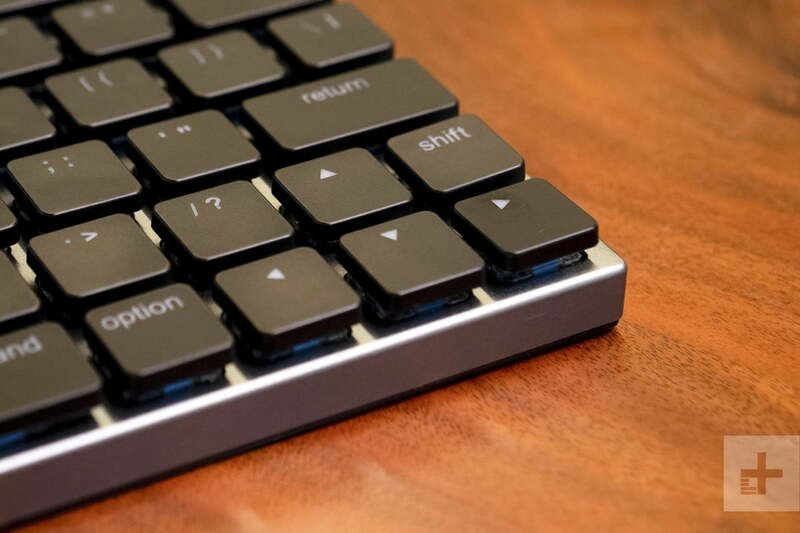 According to Vinpok, 99 percent of mechanical keyboards are designed for PCs and aimed towards gamers. 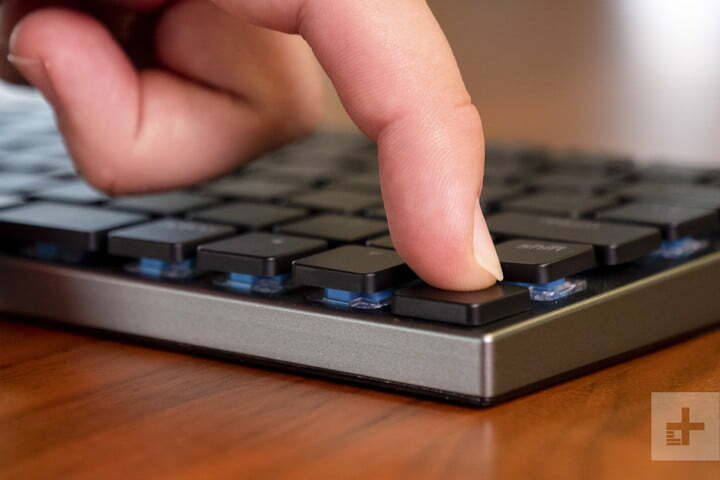 For that reason, the Taptek Keyboard will always be a niche product — but if you’re part of that niche, well, you’re going to love it. 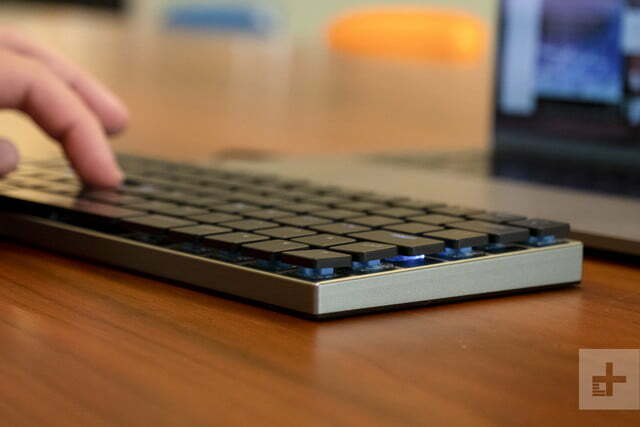 The Taptek keyboard is currently available for pre-order, and will be officially released in mid-September. 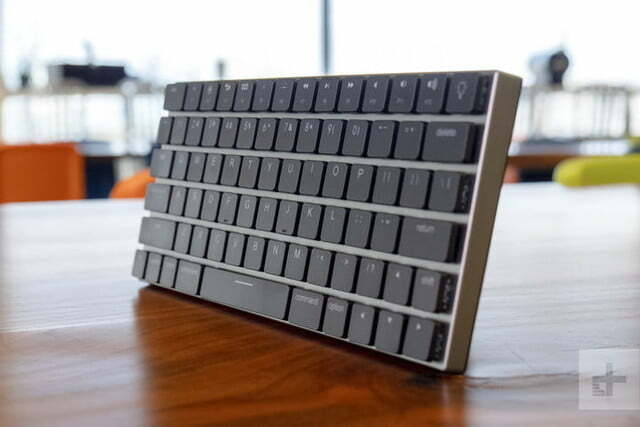 It’s price at $90, and will also come in a variant with white keycaps.